With the holidays around the corner, it’s starting to get very easy to feel the Christmas spirit. The smells of nutmeg and gingerbread have taken to the air and the Christmas lights are shining through the night. Music is a huge part of the holiday season and no it’s not limited to Christmas carols and the same song sung by ten different people. In the realm of hip-hop, there are a few artists that have spread the holiday cheer and decided to make a song about Christmas. 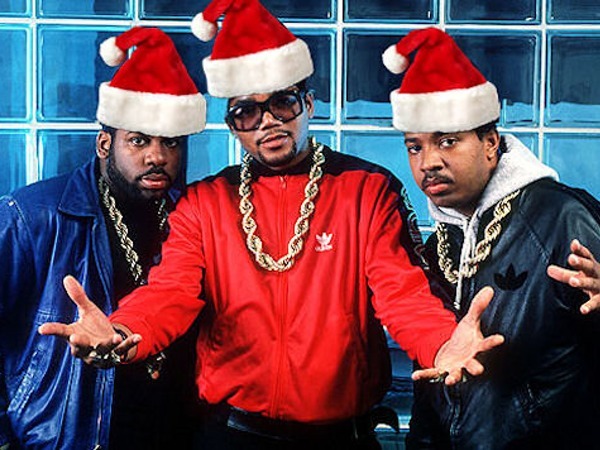 With a wide variety of people, ranging from Run-DMC all the way to Kanye West, here is our list for the top holiday-themed hip-hop songs of all time. This being hip-hop, not all of the stories are filled with joy and happiness, but they all tell a truthful story all the same. all the way back in 1988, Run-DMC throws it back with an official video for the hit tune, Christmas in Hollis. Delivered over the ringing of jingle bells, the three artists spit a few Christmas themed stories including one about returning Santa clauses wallet and another about the description of the delicious homemade dinner on Christmas night. Back in 2010, Kanye West decided to spread the cheer with his take on the holiday. The song features Teyana Taylor singing on the beautiful chorus and Christmas themed verses from Kanye, Jim Jones, Chy Hi Da Prince, Musiq Soulchild, Pusha-T, Vado, and Big Sean. Released in 1991, in this song De La Soul delivers a tragic and disturbing true story that just so happens to take place around Christmas time. The story describes a young girl who is sexually abused by her father, who to the rest of the world seems like the perfect Macys store Santa Clause. After the tension boils over, the girls last resort is to get a gun and shoot her father right in the middle of the mall, but all the young children could see was a young girl shoot Santa Clause. In the 2011 mixtape entitled Sweet Baby Kushed God, By Smoke DZA, he drops a few Christmas themed songs on the mixtape including “Smokey Clause” and “Christmas in the Trap”. In Smokey Clause, Smoke Dza raps overtop the Nutcracker themed beat and tells a Christmas story of a child finding him in the room with his mom., and Christmas in the Trap is just a story on how one might spend Christmas if they lived in the Trap. When you hear the name Death Row Records you don’t usually associate it with Christmas and joy, but that wasn’t the case in 1996 when the record label released the Death Row Christmas Album. On the Album was “Santa Clause is Going Straight to the Ghetto”, a song that featured some iconic verses from Snoop Dogg himself and another classic chorus delivered in Nate Doggs ultra smooth sound.